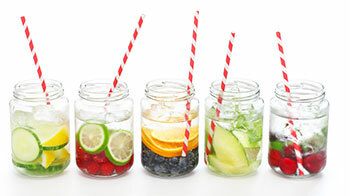 There are many possible detox water ingredients all offering a wide range of health benefits. Combined, it comes as no surprise that they can be used to help treat and prevent diseases. Detox water is a great example of how you can use natural ingredients to bolster health and promote a general feeling of wellbeing without the use of drugs or stimulants. Detox water is a healthy drink composed of plain water or coconut water as well as other ingredients such as fruits and vegetables. Pineapple is a great addition to any detox water or detox drink since it contains natural sugars as well as dietary fiber, both of which add flavor to your beverage without causing a huge insulin spike, unlike drinks that are laden with refined sugars with little to no fiber. 1. Pineapple reduces your risk of developing cardiovascular diseases. 2. 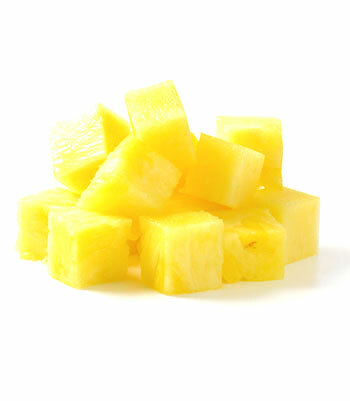 Pineapple relieves symptoms of osteoarthritis. 3. Pineapple decreases burn healing time. 4. Pineapple helps improve bone health. 5. 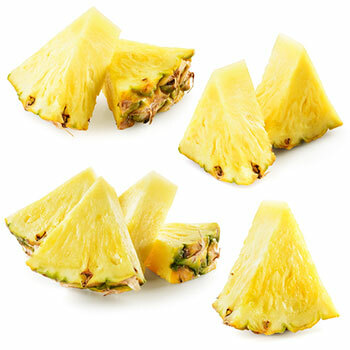 Pineapples help promote healthy digestion. Digestive health is also improved with pineapples. Many people who suffer from digestive health issues but start eating pineapples regularly find a lot of relief. This fruit offers insoluble and soluble fiber to help prevent diarrhea and constipation. (9) It stimulates healthy food passage through one’s digestive tract. 6. Pineapples help reduce inflammation. This detox water tastes delicious and tasty while still offering many health beneifts such as an increase in metabolic rate and reduction in bloating and water retention. It contains many antioxidants and anti-inflammatories which bolster health and prevent a host of diseases. Put ingredients into a pitcher, add water and enjoy! Another recipe to put in your detox water bottle is the pineapple and lemon water. Anyone looking for detox water recipes for weight loss should try this one. It refreshes the body and the mind. This lemon water liver detox also boosts energy for the entire day. The mint helps with digestion and adds a punch of flavor to the drink. The lemon helps boost weight loss. 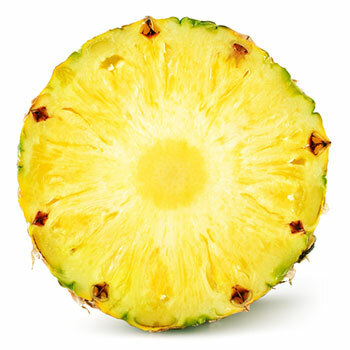 The pineapple supplies additional nutrients, fortifies the immune system, boosts eye health and improves bone health. All ingredients go into a pitcher…and that’s it! This is an amazing detox water ginger recipe that can kick your sweet tooth craving to the curb. While doing so, it also helps to fight off unhealthy cravings and beats hunger pangs as well. This pineapple, lemon and ginger detox water improves liver functioning, gets rid of toxins in the body, improves skin health, improves immune system functioning, calms the mind, repairs damage to cells in the body, reduces inflammation, repairs tissues in the body, reduces stomach cramping, relieves gas and so much more. As you can tell, this recipe has it all. For a detox water, this is a fave and should be in your rotation on a regular basis. Combine ingredients in the water and add ice for a refreshing treat. Detox waters are versatile and tasty depending in the ingredients you choose. As you can see, pineapple is a great addition to your recipes. Determine what kind of detox water you need depending on your goals, and add individual ingredients as needed. Once you are familiar with each of the detox ingredients, you can better utilize them to suit your goals. 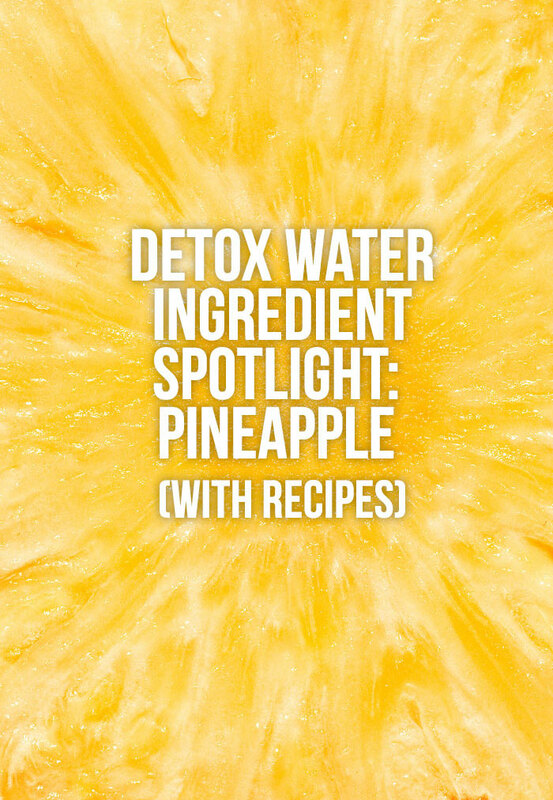 Detox waters that contain pineapple can provide various health benefits as mentioned above. It also helps to get you started with healthy recipes for detox water. After adding pineapple to your water, any of the ingredients mentioned in these recipes may be added, along with other fruits, vegetables, seeds, nuts, herbs, and more. Start drinking pineapple detox water recipes today to improve your health. For best results, be sure to use fresh fruit rather then fruit juice or fruit extracts, as they will not have the same benefits as the whole fruit.